So this past Monday Belle Canto had their pre-tour concert. I suppose I should say that "we" had our pre-tour concert but I find that detaching myself from the touring choir starts with proper pronoun use. I have to say the concert went a lot smoother than I thought.The church was boiling hot and often I found myself wiping my forehead in between songs. However, our audience seemed to enjoy it nonetheless (even though they were fanning themselves with their programs). I had my clinic buddies and even my thesis supervisor came out to see me in all my choral glory. It was like having my own Speech Path cheering section! The first set was composed of a smaller ensemble who will be competing in the early music category at the Seghizzi competition. They sounded tentative and tense since there were some pretty exposed parts. I'm sure they will solidifying their sound once they get more comfortable with the ensemble dynamics. Our set of romantic pieces went quite well. I have to admit, my memory work on them was not 100% but I was pretty close to having them finished off. If I was with the choir in Italy doing the concerts before the festival, I'm sure my memory would have solidified since I really just needed more performance time with them. I'm in good shape though if we decide to pick some of them up again in the Fall when we begin our new season. We were singing with such full warm sound in the romantic set that it was comparable to rolling in a pile of warm laundry fresh from the dryer. It was lovely to be taken in by the warm color of womanly voices. Our 20th century set was interesting and experimental to say the least. I'm just not sure if 20th century pieces are for me. I mean, I love at what they're trying to achieve but it's not the first thing I would choose to listen to. We did have an excellent world premiere for Margaret King's "Transformations" set which consisted of Bioluminescence, Snow, and Frozen Waterfall. She composed and wrote the poetry herself and utilized text and musical imagery to great effect throughout the pieces. I appreciate the cohesive theme of nature and it was a delight to help shape those images. Samuel Barber's "To be Sung on the Water" was such a gorgeous piece to sing. I remember thoroughly enjoying "Sure on this Shining Night" and whenever I sing a Barber piece I just think back to my good old mixed choir days. There's just something about the soaring clarity of tenor voices at one point in the "Sure on this Shining Night" piece that a treble voice choir cannot recreate. I like Barber's pieces because they're not trying to be complicated... everything just has an air of effortless beauty and simplicity. Belle Canto's folk set was interesting indeed. I was a not chorister endowed with the beautiful folk costume pieces that were frantically being made a week beforehand (didn't make sense since I would only have had one chance to use them). As I walked into the church to warm up, my conductor looked at me with amusement as I positioned myself on the risers while rolling up my sleeves. She asked me where I managed to find my blouse, I told her I raided my mother's closet and promised I would make it look slightly more polished since I was kind of channeling a Tom Cruise Risky Business kind of vibe. The choralography seemed to go pretty smoothly through the set though I have to say there were a lot of costume pieces strewn about the stage. Hopefully they find some miraculous way to tidy that up before the competition. There are lots of random accessories that needed to be changed and swapped between each of the 5 folk songs but I think the look that they have been able to achieve is extremely effective. It's been an absolute joy singing with you this past season and I look forward to seeing you in the Fall! For those who I will not see, remember to stay in touch! I will end this post by wishing all of my fellow choristers as well as all the choristers attending the Seghizzi festival (yes, this is a shout out to the Hungarian Magnificat Youth Choir members reading my blog) a safe, happy, and challenging competition. May the best choir win! 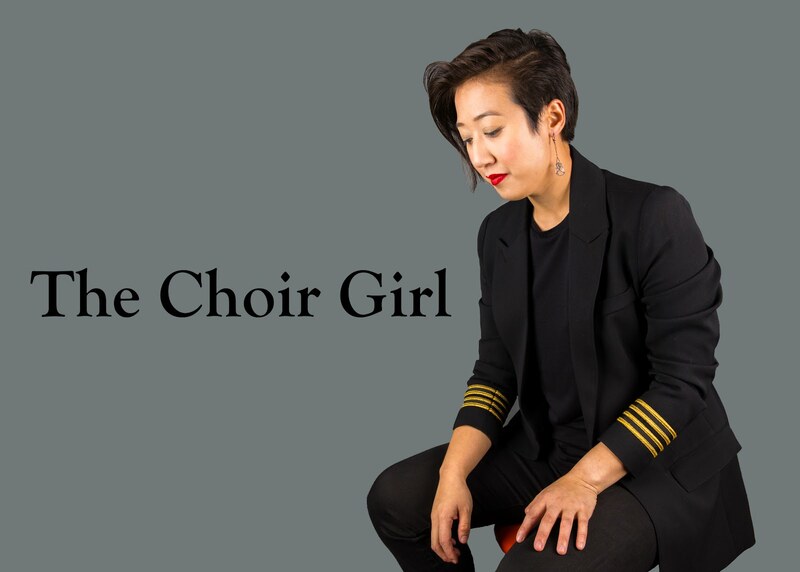 Also, I've arranged for a fellow Belle Canto chorister, Amy, to guest blog as she's on tour so check back here for updates while they're on tour for details about their concerts and the festival. Even though I'm not there, I still want to stay posted on what's going on and I'm sure you do as well!